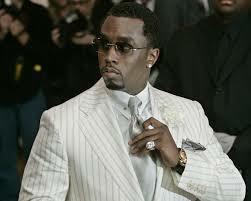 The rapper – real name Sean Combs – will receive an honorary doctorate degree from Howard University in Washington DC and give a keynote speech at its graduation ceremony on May 10, despite current students blasting the decision because he dropped out from his business degree in 1990 to pursue a career in music. One student wrote on Twitter: ”Can someone explain why Diddy, a person who never graduated from Howard, is speaking at graduation?” Another tweeted: ”diddy is gonna make the commencement speech at Howard but what is he gonna say. ‘Well I dropped outta here &amp; got rich but good luck (sic).”’ But the 44-year-old star ignored the controversy as he gushed about the upcoming event on Instagram on Wednesday (16.04.14). CNN presenter Wolf Blitzer, transplant surgeon Clive Callender, jazz composer Benny Golson and PepsiCo CEO Indra Nooyi are also set to speak at the 2014 Howard Commencement.